Over the last 3 decades, there has been a 20% surge in people suffering from gallbladder disease. It is estimated that 20-25 million Americans (10-15% of the population) have gallbladder complications (primarily from gallstones) that lead to 1.8 million hospital visits and $6.2 billion dollars in health care costs every year. An increasingly common “solution” to this problem is surgery. In fact, there are over 750,000 cholecystectomies (gallbladder removal surgeries) performed annually in the US. That’s three quarters of a million people losing their gallbladder every year! Unfortunately, 10-33% of people who get their gallbladder taken out never resolve their symptoms of gallbladder disease; and in fact those who have their galbladder removed may suffer from a whole new set of symptoms like fat malabsorption and vitamin deficiencies after surgery. What if there was a less invasive way than surgery to relieve symptoms in people with gallbladder disease? You may be able to prevent gallbladder surgery by eliminating certain foods from your diet. Back in 1968 a doctor by the name of J.C. Brenemen published a paper in the journal Annals of Allergy. He was able to relieve symptoms associated with gallstones (cholelithiasis) in 100% of his subjects by doing an Elimination Diet for 1 week. Most symptoms improved within only 3-5 days. When certain foods were added back in the diet, the symptoms would return. Three common foods accounted for the vast majority of reactions. Egg was problematic in 93% of people, pork in 64%, and onion in 52%. Other foods included fowl, milk, coffee, oranges, corn, beans, nuts, apples, and tomatoes. By simply removing the foods, these patients were able to eliminate their symptoms. What does a healthy gallbladder do? The gallbladder is a small four inch sac located just below the liver. It accumulates a liquid mixture known as bile that contains 97% water, 0.7% bile salts (cholesterol that interacts with hydroxylation/CYP450 enzymes and has either glycine or taurine attached to it), 0.51% fats (i.e. cholesterol, phospholipids), 0.2% bilirubin (derived from heme- the substance in red blood cells), and a trace amount of inorganic salts (i.e. potassium, sodium bicarbonate). As food travels out of the stomach and in to the small intestines (duodenum), cells that line the intestinal walls “sense” the fats and amino acids in the food and release a hormone called CCK (cholecystokinin/Chole= bile, Cysto= sac, Kinin= mover). This bile sac-moving hormone signals the gallbladder to squeeze forcing the bile into the upper intestines where it helps to digest fats found in foods. Simultaneously, CCK also signals digestive enzymes to be released from the pancreas. Lack of gallbladder stimulation as a factor in forming gallstones. Problems can arise when the gallbladder never receives the signal to squeeze. This leads to a condition known as stasis where bile sits in the gallbladder for long periods of time. If the gallbladder is filled with bile that is laden with high levels of cholesterol, and low levels of phospholipids and bile salts, it can form a supersaturated sludge. This stagnant sludge allows for the perfect environment for crystal-like structures to form that precipitate out of solution. These structures are known as gallstones and they can cause irritation in the gallbladder. If the stones are large enough, they may get lodged in the cystic duct or common bile duct. This leads to the symptoms of what is known as gallbladder attacks. Research indicates that both gluten and cow's milk proteins can cause damage in the intestinal tract that leads to gallbladder stasis. Both foods contain proteins that are capable of exciting immune cells in the intestinal tract that can interfere with CCK signaling by disrupting the intestinal lining. If the intestines are damaged, and CCK secretion is interrupted, the gallbladder never fully contracts to squeeze out all of the bile. The difference between subjects with calm intestines and those who have damage from consuming gluten can be profound. In one study, subjects who had intestinal damage from gluten consumption (villous atrophy) took over 7 times longer to empty out their gallbladder than the normal subjects (154 minutes vs. 20 minutes). A gluten-free diet normalized the emptying time of the gallbladder. Other studies have demonstrated that pancreatic enzymes are reduced when the upper intestinal tract is damaged by either gluten or cow's milk protein. When those foods are removed from the diet and the intestines heal, the pancreatic enzyme function returns to normal. 1. Do an Elimination Diet. This is by far the most effective therapy for gallbladder issues I have seen. 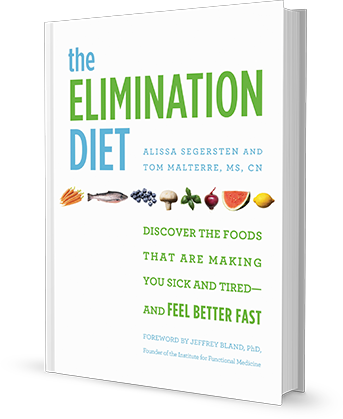 Our book, The Elimination Diet, details how to follow one safely and effectively. If you are ready to begin the healing process right now, and need guidance in following an Elimination Diet, then register today for our online Elimination Diet Support Program! 2. Consider a high quality digestive enzyme supplement. If you have loose stools and more than four bowel movements a day, research indicates a pancreatic enzyme supplement may help. 3. Eating more vegetables and fruits helps to prevent gallstones. Shoot for 6 servings of vegetables and 2 servings of fruit per day. Our book, The Whole Life Nutrition Cookbook, has hundreds of recipes for incorporating fresh fruits and vegetables into your diet in a delicious way! 4. Start consuming broccoli sprouts. Eating 1/4 cup per day can decrease bilirubin deposits in the gallbladder thus reducing the likelihood of gallstone formation. Watch my video and learn how to easily grow your own broccoli sprouts! 5. Consider a curcumin supplement. Curcumin extracts from turmeric have been shown to stimulate bile formation and gallbladder emptying. Meriva, a supplement of complexed phophatidylcholine and curcumin, has helped many of my clients with gallbladder issues. Is exocrine pancreatic insufficiency in adult coeliac disease a cause of persisting symptoms? Allergy elimination diet as the most effective gallbladder diet. Epidemiology of gallbladder disease: cholelithiasis and cancer. I have been able to avoid gallbladder attacks by removing cheese from my diet. I did the elimination diet three years ago and added everything back in including dairy. To this day, I consume some dairy but as soon as cheeses hits my stomach I get a gallbladder attack. Could you tell me why it might be that I can have milk and cream but not cheese? Also, when I'm pregnant I can't eat much of anything without having a gallbladder attack. I have been taking coconut oil for health but I have cholesterolosis (bile polyps on GB wall and thickening in the wall) I did my own version of the Gerson Therapy for many years (8years), because I have been taking Paxil (20mg) and Prilosec (20mg) for 20years and have Gilberts syndrome (bilirubin levels higher than normal - sluggish phase 2 detox in liver) and so I thought doing daily coffee enemas was good for me (from 1 to 5 or so daily) to help keep my bile moving and detox from taking meds for decades, 8 months ago I started suffering severe pain on my right side of abdomen and below shoulder blade, had ultrasound and was diagnosed with Gall Bladder disease (Cholesterolosis) had my cholesterol checked and it was not high, my bad cholestrol was high but not high enough to warrant cholesterol medication the doc told me. Stopped the enemas and recovered from the pain slowly, I have to get another ultrasound soon to see if the GB wall has thinned out or polyps shrunk, just waiting for the letter from hospital, but that pain has stopped on the whole. I have reduced in the last few years my Paxil dose from 20mg to my current dose of 5mg so Im happy about that, but it is a very tough rollercoaster ride emotionally and physically. I want to come off both drugs, the Prilosec I tried coming off and taking Apple cider vinegar, HCI and after a week ended up in hospital in Beijing, because I have a Hiatus Hernia (Sliding) my L.E.S. is kept open and so stopping Prilosec and adding acid wasnt a good idea, How the heck do I come off both these drugs and deal with the new problem with the Gallbladder? Ive been massaging my Hiatus Hernia daily now and drinking water in the morning and dropping on my heels (this is supposed to bring the Hiatus Hernia down) but I need to lose weight in order to stop intra abdominal pressure from applying pressure on my LES/Hiatus Hernia area, taking the coconut oil did give me energy and mental energy as well, but had some twinges on my right side and so am a bit weary of continueing with the coconut oil as ingesting oil will result in Liver producing bile which will be sent to the GB ( I dont want to add more bile in there if I can) Since reducing on the Paxil I have been angry, stressed out cause my brain is trying to adjust to the lower dose of the SSRI and this has caused pains on my ride side just slightly off centre and also slightly lower than centre (small intestine?) the doc upped my prilosec dose to 40mg a day to soothe any Duodenum inflammation or ulcer, it took 3 months for the pain to stop but the Prilosec worked and now down to 20mg again, this is what happens when I step down or taper on my Paxil dose, all hell breaks loose emotionally and this affects gastric acid production, adrenaline etc etc and its easier I suppose to get an ulcer, now that area is sensitive, I started drinking english teas for a caffeine boost seeing as my brain hasnt the Paxil effect or less serotonin circulating in my brain, ate chocolate and potato chips for about a week and bang the peptic area started to pain again and I felt silly for bringing it on myself and so now eating better and no junk foods. 1 year or maybe 2 years ago, I started having allergies to dust, milk, wheat and at the time just didnt know what the hell was going on, only 6 months ago I realised it was Gluten and stopped all wheat, milk and I feel okay and my dust allergy only seems to get worse when I eat those foods, now I found online that many women who have Gallbladder problems also have allergies, so I could have started to have Gallbladder problems 2 years ago but didnt know. I eat Gluten free toast with avocado, gluten free pasta with some veggies, I juice carrots, apples still, I stopped eating eggs since the GB diagnosis, and limit meat. Chamomile teas, take supplements of magnesium, multivitamin/mineral, B complex, Vit E, vit D3, Lugols solution, Flax oil and Flax/Chia seeds. I have tried different diets ranging from Vegatarian, Vegan, and even Raw meat diet, I did these all for about a week or two so maybe I needed to do them longer,I did the low carb and ended up having palpitations in the evenings and found online that other people were having similar issues and told to supplement with magnesium and potassium but I just stopped by having a banana and bread and the palpitations stopped after a few bananas. I really dont know what to do and who to turn to, I have asked a few GP's (MD's) and their view is 'if it aint broke dont fix it' or 'let sleeping dogs lie' I mean they say I should just take the Prilosec and Paxil for life and if the Gallbladder gives problems then cut it out or if the polyps increase to more than 1cm cut the GB out, they didnt tell me what to eat, what to do, nothing. I would go on a fast but if Im taking meds its not a good idea, unless I do a 5/2 type diet/fast. As I said taking the coconut oil seemed to give me a brain and body lift, energetically and so this is great so I feel less sluggish and can get about losing weight (I am 110kg - ideal weight is 72kg) but Im just worried about taking coconut oil and any detrimental effect on Cholesterolosis, forgive the long post but my problem is a bit complex, thanks for hearing me out, any help or advice from anybody would be much appreciated, Thanks in advance. Thanks Deb, Where you talking to me? Hello. Just wanted to let you know what I've been doing and am interested in what you've been doing since your post a couple years ago. I also have a Hiatus Hernia, was never told what kind after it was examined, and I have gallbladder disease. I am not on any medications however. At its worst I got sharp pains across my whole upper abdominal area. Was dizzy most days, experiencing brain fog ect. Had my coworkers all helping me as I'd take off to take pain killers at first, not knowing they wouldn't help. I went through a pregnancy in which a my symptoms went away, but the came back about 6 months after I had my son. What I've done is a bit odd, but I'm breastfeeding and am not willing to cut out certain nutrients I haven't been able to get clean sources for like DHA so I eat fortified eggs until I can get some algae based DHA my 2 year old can take. He also eats eggs. He actually was suffering from constipation issues until I put us on the diet were on now. So! What I finally did to get rid of my symptoms is this. I cut out all meat, all dairy, and all processed sugar, ( I use dates to sweeten smoothies and cookies) and eat alot less gluten based flour. I make everything we eat myself including wraps, cookies, breads ect. Except noodles. I eat coconut oil, avacado, and nuts with the least saturated fats as often as I like because I'm breastfeeding and need fat. I eat alot Of rice and beans/peas, green leafy veggies, potatos, other tubers, and definitely fruits. When I've had heartburn, it's generally because I drank a hot chocolate from a coffee shop. Or had something with an animal product in it. I've eaten kettle chips and felt fine. I tried some Atlantic salmon a week ago and it gave me brain fog and I just felt tired for a couple days. So I know for me it's animal fats and certain sugars. So far white noodles will affect me, so I stick to spelt vegetable noodles or rice noodles. I take Vitamin D3 and B12 supplement (2000mcg a week). And this has been what's helped. Now! I notice that when I stress myself out I get heartburn and am more likely to react to foods. I feel it is just a side affect to the hernia and my food pipe never being fully closed off. Calming myself down and not taking blame, or feeling guilty for the lives of others has been very helpful. I finally realized that if I want to help the world and the people in it, that I can't take on all of thier emotional crap and expect to get anything done. If I hurt someone or say something upsetting I apologize and feel sad or anxious at the moment (if at all, because sometimes just telling people the truth hurts them, even if it's said in a loving way). But after that it's done! No anxiety while trying to sleep either. You can either wake up tired or rested. Rested will get more done the next day. And that's all I've done so far. Since I eliminated meat (aside from eggs as I've said) and dairy I haven't had one gallbladder attack. And I eat a fair amount of fats. Just remember it's a personal journey, what may set you off may not set someone else off. Some get an attack from brocolli. And lastly, I think that being constipated and gas issues definitely worsens things. So stay hydrated! The above article arrived just in time! An ultrasound done last week showed gallstones and a distended gallbladder. I have not had any attacks yet but felt fullness in the areas you discribed. I regularly add turmeric and pepper (to better absorb turmeric I was told) as well as having sprouted broccoli seeds for the last couple of years. I didn't know that would help gallbladder. I will definitely have to do the Elimination Diet and buy you book to guide me. Saw I could pre-order, but don't like to buy online. Strange that you say cow's milk is a culprit. Several years ago my daughter started have gastro problems and missed half of the school year because of them. I took her to numerous doctors and specialists. So many tests were run and no one could tell me what was wrong with her. I took a firm stance with our diet and cut out sugar and all white starches. I also switched to eating real, organic foods and we starting drinking raw cow milk. All of her symptoms disappeared and it wasn't until we stopped using the cow's milk and switched to store bought that her problems began again. Now what do I do? Your descriptions describe me 32 years ago when my gb was removed. Now, what do I do? Re: My Gallbladder is removed. Now What? Great article! In addition to the elimination protocol would you suggest a liver/gallbladder flush for someone that has had pain and issues for many years? Or will the gallstones gradually dissolve after the offending foods have been removed? Re: What about a gallbladder flush? ***Warning*** If there is any risk for gallstones being lodged in your ducts (the cystic or common bile duct) this practice could be dangerous! When researching gallbladder diseases 8 years ago, I was surprised to see that gallbladder flushes are mentioned in conventional British medical journals! While there is very little research supporting this practice, gallbladder flushes have been recommended for quite some time by people with varying degrees of expertise. The theory goes a little something like this. Eat foods rich in malic acid (usually green apples and apple cider vinegar) for a period of time (1 to 2 weeks) to "dissolve" your stones. Then stimulate the gallbladder to squeeze really hard by consuming large amounts of organic olive oil (I have seen recommendations of 1/2 cup at a time!). This purportedly causes the "release of stones" from the gallbladder. Because there is some debate as to whether the "stones" found after the flush are truly gallstones, and there is a potential risk for a negative side-effect with this practice, I do not recommend it in my clinical practice. The reality is the vast majority of people walking around with gallstones do not experience any symptoms at all. It appears that food sensitivity reactions may be contributing to irritation in the gallbladder in the presence of these stones. When you get rid of the irritation, the symptoms often go away. I hope that helps. Please see the quote below. Here is a quote from the journal Gut Liver in an article written in 2012 entitled "Epidemiology of Gallbladder Disease: Cholelithiasis and Cancer": "The majority will not develop symptoms: up to 80% will never experience biliary pain or complications such as acute cholecystitis, cholangitis, or pancreatitis. Hence, most gallstones are clinically “silent,” an incidental finding often uncovered during abdominal ultrasound being performed for another reason. People with such asymptomatic cholelithiasis, however, eventually may develop symptoms (biliary pain) that require treatment,but this risk is quite low averaging 2% to 3% per year,10% by 5 years. An even lower proportion, 1% to 2% per year, develop major gallstone complications. Therefore, expectant management is an appropriate choice for silent gallstones in the general population." My gallbladder was removed two years ago because an ultrasound detected some tissue growth and my doctor was worried about cancer. I was also having frequent attacks and back pain. Luckily no cancer! Sure wish I would have seen this article before my surgery!! Since it's removal I have cleaned up my diet, eliminated dairy which I discovered is problematic for me, and eliminated most gluten. I take digestive enzymes with every meal to help digest fat. I feel good overall but am wondering after reading this post if I should be doing more. Would I benefit from Turmeric or Broccolli Sprouts since I no longer have a gallbladder? Turmeric and Broccoli Sprouts even after surgery? What's with the number of gallbladder removals? Nice article and encouraging people to eat real food is great, however I am astounded that you would suggest a curcumin supplement and not whole, natural Turmeric powder instead. Curcumin supplements are not a food, they are a single component from around 300 synergistic components found in Turmeric. Other compounds in Turmeric have been studied and found to be beneficial too, so why take just a single one? Curcumin is not water soluble so is most often extracted using chemical solvents. Add to this that in nature the curcumin in Turmeric averages about 5% and the curcumin supplements are usually 95%, which is far too much for the body to utilise, and it is notoriously difficult for the body to digest unless taken with a meal containing an oil or fat. The supplements containing piperine are even worse as they boost the already high percentage of curcumin. I know this drug (which is what it is) gets a huge plug from scientific studies, but when it comes to keeping it real and natural whole Turmeric powder, cooked on low for under 10 minutes and mixed with a fat source and an addition of freshly cracked black pepper eaten at least twice a day is far better for the human body and the gallbladder than a supplement. Hi Heather! Thanks so much for your input here. I was part of the medical affairs team at Thorne Research when we brought a unique curcumin product in to the US from Italy. It was curcumin bound to the polar head of phosphatidylcholine and was named Meriva. I had to evaluate all of the safety and efficacy data at that time. I saw no evidence that would lead me to believe any imbalances occurred in animals or humans after taking these supplements. On the contrary, I saw impressive anti-inflammatory, anti-nocicecptive, and anti-oncogenic effects with the supplementation. Since then there have been numerous studies supporting these findings. One particular study has shown Meriva to be as effective as acetaminophen/Tylenol in reducing pain. I agree with you. Concentrated isolated herbal extracts with high-tech natural delivery systems can act like a drug. In this case, they act like a drug without the harmful side effects. With that said, I am very familiar with the fact that foods have a multitude of compounds in them that often work synergistically. We will never know the true genius and wisdom of these plants. Your suggestion to eat turmeric in it's whole form is a wise one. I will join you in that recommendation for disease prevention and overall health. However, I have also seen many people benefit from supplementation over the years. I used to recommend whole turmeric exclusively (with fats and black pepper) and I did not see the improvement in health parameters that I see with supplementation in some individuals. My experiences lead me to believe there is a place for both in our lives. Hello Rose, How is your GB polyp shrinking plan going? What have you found out that can possibly shrink these polyps, I was thinking that fasting would after 15hrs put you into a state called autophagy where the body munches on things that are unecessary to the body, but fasting doesnt seem to be good for the GB, I haven't been able to find any info on shrinking these polyps so far, I have 5, 3 tiny ones but one is 6mm and the other is 5mm, please let me know if you've found something, thankyou. I'm a bit confused. Are you saying that an elimination diet is good for one with gallbladder discomfort but not for someone with a calcified gallstone? Could you please clarify this for me? Thanks. I have small multiple gallstones. Can my gallbladder get rid of them. I was having terrible gallbladder attacks/pains. After one too many late nights in agony, I did the research. I have been gluten free for over 5 years now and decided to eat a vegan plant based diet. I have not had any issues with my gallbladder since then and I believe taking out the extra cholesterol in cow milk and meat is the reason why. I feel amazing with so much more energy. I thought it was going to be more difficult but it seems a small price to pay for my ultimate health. Hi, I'm Cali. I'm 23 years old. 5'7 and 120 pounds. I just took got a hida scan that concluded that my gallbladder is only 25% functioning. I don't have any stones though! I already watch what I eat, I don't digest processed sugars and stay away from gluten as well as many other processed foods including milk. I would love to solve my problem without having to have surgery! I have had acid reflux since I was a child, but lately it's been acting up and I am nauseas every time I eat no matter what it is (including water) and I have been constipated for a few months now. I bloat as well as am extremely exhausted. When I was a child I also had growth hormone deficiency, so I took growth hormone when I was around 12 years old because my organs weren't growing. I was wondering if this could have an effect on my gallbladder, maybe it did not develop properly? Any insight would be amazing! Thank you! 5 months ago I had a few weeks of symptoms leading to an attack. I was having fatty loose stools for a few months and very loud rumbling digestion, leading up to pain and nausea two nights in a row (one episode of vomiting). Upon going to the ER, they said my lipase was high but ultrasound and CT scan all clear- I did however have a fatty liver. (Mildly) They thought it could possibly be pancreatitis. I had a HIDA scan but wasn't accurate because I had been fasting for 48 hours prior, due to the discomfort I had been in. After paying $4,000 for the scan I wasn't going to repeat it. I stopped eating the following: egg yolks, all dairy, ground red meat, no chicken other than breasts, etc. the symptoms of diarrhea are kept at bay I believe from no dairy alone- I am unsure whether it's cheese only or all dairy so I avoid it all, butter also. I continue to have fatigue in my shoulders and right side of the back/shoulder & have almost daily gas but no severe symptoms. I feel like removing dairy was enough to get the gallbladder out of the "urgent" state but am worried it won't be enough. The liver you say needs to be healthy for the gallbladder to work. I have no appendix already and also have celiac disease (strictly gluten free and normal labs for 4 years now). I'm 62 year old male. For about three years I have nausea and diarrhea spells about once a month. My doctors could not tell me what was causing this. Recently I had surgery for hernia and the surgeon said my gall bladder looked real bad. He said I needed to have it removed and that's what has been causing my problems. What do you recommend ? I have my procedure this friday, but now reading your article is very difficult not to ask the Dr why no try something else, off course he advise that the gall is affected, but actually after, ct scann, MRI, ultrasound and Xray, none of them show any stones, in theory was blocked with sludge, of course I had a very painful incident two weeks ago seems to be a biliary colic, so my question is shall I go for the medical advise and get my gallbladder out or shall I try the diet? I had beed having a good diet for the last 5 years, and then this problem happened. 76 year old male. Had a gallbladder attack and am deciding if I should have the surgery or change my diet. Am worried I might have another attack if I don't do something. Curcumin is a bitter and as with other bitters, it can stimulate the GB to contract and produce bile. Have you found that people with gall stones end up with blocked bile ducts while using curcumin therapeutically? Thanks so much. Hi, I just spent a morning in the ER with terrible pain. I was diagnosed with biliary colic with a gallstone of 1.6 cm. They didn't suggest surgery yet, but they said I may have to have it in they future. I DON'T want to go through that pIn again. What do you suggest? My stone is too big too pass on its own and I would really like to have a natural means of helping my body. Please help!!!!!! Hi Dr. Tom, I was wondering if it's possible to develop vitiligo after GB and having a large polyp removed. Four weeks after surgery I developed white spots on my hands and it has continued to spread over my body. Thanks for your response. Thanks so much for sharing your story Richard. In Functional Medicine, we balance the things that irritate the body (toxins, microbes/parasites, stress, allergens, etc...) with things that nourish the body (nutrients, exercise, deep sleep, etc..) and miracles happen. I am glad you found balance with your condition. Hi there! I stumbled upon this article and thread and thought I would contribute.I was diagnosed with Bilary colic in 2012 and had a severe attack in which gallstones blocked the bile duct. Once it cleared with some homeopathic help, I spoke to my doctor who advised me to remove my gallbladder since the risk was high to have another attack. I wanted to explore other avenues, so I persisted in seeing a naturopath. With her guidance, I altered my diet completely, going gluten-free, cow's milk free (except I still eat some cheese and yogurt), and eliminating fatty foods. I also started a couple of supplements to help with digestion. This year, I discovered after another ultrasound that I no longer have stones. This was after four years of being committed to a lifestyle change. I feel great with the positive steps I made. I just thought I would share a success story and that sometimes surgery is not the only option. Thank you so much Nadine. Your story is one many people need to hear. I am grateful you shared it with us all. As a Functional Medicine practitioner, I see cases like this often. It brings so much hope every time I see another person take charge of their health. Nadine,I was wondering exactly how you got rid of your gallstones.did you go vegan,do a gallbladder flush,or simply stop eating dairy and gluten.the deets of you diet would be much appreciated. Thanks for asking. When I was first diagnosed with bilary colic, I had a severe blockage of the common bile duct. I went to a naturopath after doing a homeopathic flush (lemon juice, garlic, and olive oil). The flush cleared the blockage (not that I would recommend this method as it is risky, but I was desperate). As for the change in diet, this was largely on the advice of my naturopath. We did an elimination diet in which I removed dairy, gluten, sugar, fatty foods, and processed foods. When I started adding these foods back into my diet, I discovered the negative effects of gluten on my body and dairy to a smaller degree. I went completely gluten free (I still eat some dairy and I eliminated fatty foods such as fast food). I'm also taking two supplements, although now I've reduced the dosage. Both help with digestion and liver support; Ichol and Phos Choline. After four years, I don't have any stones and I don't require surgery for gallbladder removal. I firmly believe that these changes helped with my situation. Let me know if you would like any other information. I had a severe gallbladder attack six months ago and an ultrasound showed I had numerous large stones. Since then I've had two less severe attacks and quite a bit of general discomfort. I've recently eliminated sugar, gluten and processed foods. I'm trying to eat more veggies and only healthy fats. After reading your article, I'll add broccoli sprouts and curcumin. I don't have a problem with diarrhea so am wondering if I need the digestive enzymes. My second question is, can I reverse the stones when I have quite a few of them. I'm 59 and had no gallbladder problem till the first sudden attack a few months ago. Last, if a person is fortunate enough to rid themselves of stones, are they passed or do they dissolve? Thank you so much. I'm SO wanting to avoid surgery!!! Hello Susan, I hope you get an answer to this...I only have one large gallstone but lately it really has been bothering me. Had two very bad attacks...but after the last one it seems ok, maybe it just broke up and dissolved. Been taking a Turmeric mix with a cup of water and that may have helped. Look up the info on this and ALWAYS make sure that you check about any cross interferences with other things that you are taking, ie meds etc. since Cow's milk can be harmful to the gallbladder... is cottage cheese harmful to the gallbladder as well?